This post appeared in Our Future on August 24, 2015. Originally posted at RobertReich.org. Reprinted with permission. 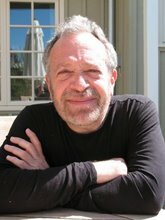 About the Author: Robert B. Reich, Chancellor’s Professor of Public Policy at the University of California at Berkeley and Senior Fellow at the Blum Center for Developing Economies, was Secretary of Labor in the Clinton administration. Time Magazine named him one of the ten most effective cabinet secretaries of the twentieth century. Four young men breakdancing on the Federal Plaza last week in downtown Chicago say a lot about why this Labor Day provides occasion for both celebration and protest. The dancers—black, white, Latino, all of them putting on a spectacular show—were fast food and retail workers on strike for the day for $15 an hour pay and the right to form a union without retaliation. They were among about 400 low-wage workers from more than 60 stores convening for a celebration after a day of delivering their key demands—with specific additional grievances tailored to each workplace—to their employers, who, from McDonald’s to Sears, make up a Who’s Who of brand-name fast-food and retail companies. It was the third strike for many of the workers. The strike wave began last November in in New York, with Chicago holding protest marches late last year as well, and it spread in July to five other traditional union strongholds. On Thursday—just after the 50th anniversary of the March on Washington for Jobs and Freedom—thousands of workers from a total of approximately 60 cities joined a national day of action, the largest yet. Strikes cropped up in the South, in cities such as Raleigh, N.C. and Memphis, Tenn., and in smaller Northern cities, such as Bloomington and Peoria, Ill. In tiny Ellsworth, Maine, a community-labor group demonstrated support for higher pay fast food workers even though none went on strike. In some cases, workers appear to have organized themselves after hearing about the earlier actions, calling whomever they could contact and asking how they could take part in the next strike. The dark side of this jubilant surge of activity is the many reasons why it is needed—weak job growth, underemployment, flat or declining wages, feeble labor standards, a stalled union movement, an occupational structure shifting toward more low-wage service jobs, growing inequality, and widespread abuse of power by the very rich. The decline in the official unemployment rate masks the degree to which American workers face a very grim world of work. Much of the improvement in the unemployment rate simply reflects a growth in the number of discouraged or “marginally attached” workers (people who want a job but have given up looking). The share of the workforce working part-time involuntarily has risen as well. Such slack in the demand for labor, along with the declining power of unions and the cuts in pay demanded by both private and public employers (often accompanied by outsourcing or, at public employers, privatizing), holds down—or pushes further down—wages that had improved little even from 2000 to 2007, when the recession began. Between 2007 and 2012, even as productivity grew by 7.7 percent, wages declined for the bottom 70 percent of the workforce, according to a recent Economic Policy Institute report by Lawrence Mishel and Heidi Shierholz. The weakness of the labor movement, especially in growing, low-wage sectors like retail and fast food, accounts for much of the decline, but the diminishing value of the minimum wage plays a big role. According to another recent EPI study, by Sylvia Allegretto and Steven C. Pitts, if the federal government restored the minimum to its peak value in 1968, the minimum wage would be $9.44 today in inflation-adjusted dollars, not $7.25. And if it matched in real terms the $2.00 minimum wage demanded 50 years ago by the March on Washington, the minimum wage would be $13.39—not far from the striking fast food workers’ demand and not far from the minimum in many advanced countries (approximately $12 an hour in France and $15 an hour in Australia, for example). 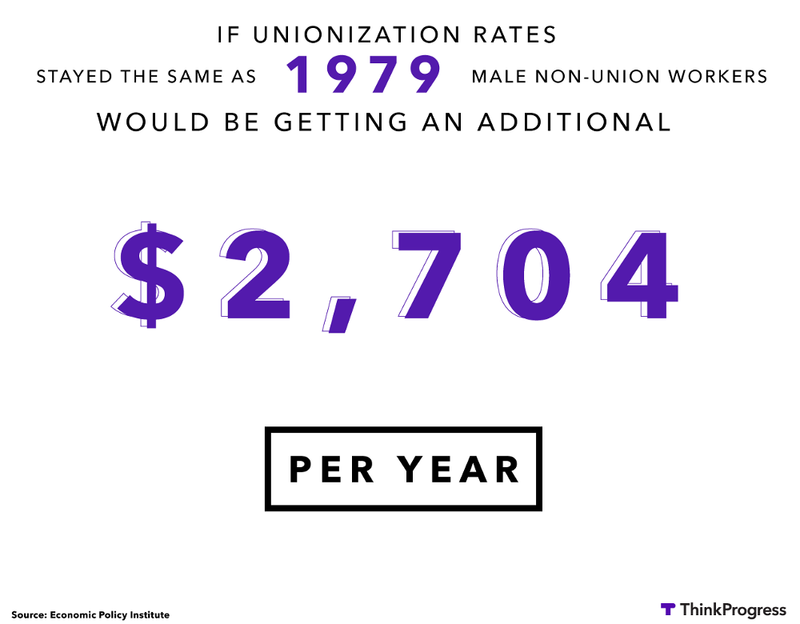 If the minimum wage had risen as much as worker productivity since 1968, it would be $22 an hour. Any rise in the federal minimum would especially help people of color and women, Allegretto and Pitts report. Contrary to stereotypes of low-wage workers as teenages, a raise would help many adult, family-supporting workers. 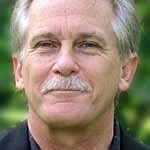 In a report for EPI published in March, David Cooper and Dan Essrow calculated that with even the modest $10.10 minimum proposed by Sen. Tom Harkin (D-Iowa) and Rep. George Miller (D-Calif.), the average age of low-wage workers whose pay would likely increase is 35. Eighty-eight percent are over 20 years old, and 35.5 percent are 40 or older. In addition, 44 percent of the beneficiaries would be workers with some college education, and 28 percent with children. The plight of low-wage workers is becoming a much more acute problem as the nation’s occupational structure, that is, the kinds of jobs being created or retained, has changed. According to Daniel Alpert of the Century Foundation, 70 percent of the jobs created in the second quarter of this year were low-wage, like retail and hospitality work, about twice the percentage of such jobs in the overall workforce. And about 50 percent of all new jobs in the first half of 2013 were part-time. Wages have risen for the top 5 percent, however, especially for the very richest. The top 1 percent—mainly executives and financial managers—captured 121 percent of the nation’s new income during the first two years of the recovery, according to University of California, Berkeley economist Emanuel Saez. How do they do that? Essentially, they direct all national income gains to themselves while simultaneously taking more away from the 99 percent. Looking more closely makes the picture even uglier. The success of the very rich often involves large elements of chicanery, fraud and exploitation of public resources, according to a new study, “Bailed Out, Booted, Busted,” the 20th annual Labor Day edition of the Executive Excess reports from the Institute for Policy Studies. The researchers compiled data from 20 years of their studies, which relied on annual Wall Street Journal surveys of CEO pay. Their final survey covered 500 CEOS—the 25 highest-paid CEOs each year for the two decades. IPS reports that 38 percent of these CEOs had performed extremely poorly as executives of their firms. Of those poor performers, 22 percent of the top pay winners led their firms into bankruptcy or bailout; 8 percent were fired (but got golden parachutes worth $38 million on average); and 8 percent were found guilty of fraud. Then there are simply the super-excessively paid, making over $1 billion during their tenure, and other executives who fed at the “taxpayer trough,” collecting top pay while their companies profited as major government contractors. And it seems the strikers are doing it their way, with people volunteering and reaching out to other workers to spread the word. Most events include raps composed by strikers about their work, and protest strategies reflect their decisions. For example, in Chicago, the strikers this time wanted actions at every store where someone walked out, not just a couple of highlighted targets, as in the July strike. And they wanted a celebration at the end. If the fast food fight succeeds, it will be a result of that insurgent sentiment. The spirit was there in the breakdance—introduced in Spanish and English, as all the program was before the crowd of comfortably mixed ethnicities, performed under a banner reading, “Fight for 15, Valemos Mas.” Dancing to Michael Jackson’s “Beat It,” two stands-in for CEOs in mock-suits faced off against two workers from Potbelly’s. This article was originally published on Working In These Times on September 2, 2013. Republished with permission. 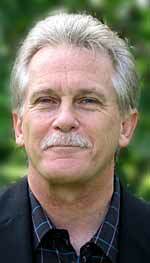 About the Author: David Moberg, a senior editor of In These Times, has been on the staff of the magazine since it began publishing in 1976. Before joining In These Times, he completed his work for a Ph.D. in anthropology at the University of Chicago and worked for Newsweek. He has received fellowships from the John D. and Catherine T. MacArthur Foundation and the Nation Institute for research on the new global economy. .
U.S. Labor Secretary Hilda Solis resigned today. 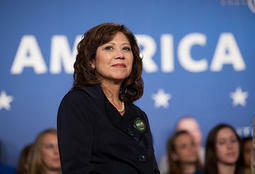 Under Secretary Solis, the Labor Department became a place of safety and support for workers. Secretary Solis’s Department of Labor talks tough and acts tough on enforcement, workplace safety, wage and hour violations and so many other vital services. Secretary Solis never lost sight of her own working-class roots, and she always put the values of working families at the center of everything she did. We hope that her successor will continue to be a powerful voice both within the Obama administration and across the country for all of America’s workers. This afternoon, I submitted my resignation to President Obama. Growing up in a large Mexican-American family in La Puente, California, I never imagined that I would have the opportunity to serve in a president’s Cabinet, let alone in the service of such an incredible leader. Because President Obama took very bold action, millions of Americans are back to work. There is still much to do, but we are well on the road to recovery, and middle class Americans know the president is on their side. Together we have achieved extraordinary things and I am so proud of our work on behalf of the nation’s working families. This post was originally posted by AFL-CIO NOW on January 9, 2012. Reprinted with Permission. 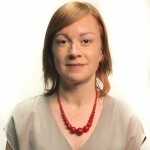 About the Author: Donna Jablonski is the AFL-CIO’s deputy director of public affairs for publications, Web and broadcast. Prior to joining the AFL-CIO in 1997, she served as publications director at the nonprofit Children’s Defense Fund for 12 years. 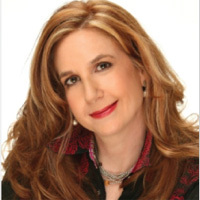 She began my career as a newspaper reporter in Southwest Florida, and since have written, edited and managed production of advocacy materials— including newsletters, books, brochures, booklets, fliers, calendars, websites, posters and direct response mail and e-mail—to support economic and social justice campaigns. In June 2001, she received a B.A. in Labor Studies from the National Labor College. This Labor Day feels gloomy. It’s a celebration of work when there is not enough of it, a day off when too many desperately seek a day on. America has commemorated two Labor Days since this brutal recession began near the end of George Bush’s presidency in December of 2007. Now the relentless high unemployment, the ever-rising foreclosures, the unremitting wage and benefit take-backs have replaced American optimism and enthusiasm with fear and anger. On this holiday, we can rant with Glenn Beck, kick the dog and hate the neighbor lucky enough to retain his job. Or we can do something different. We can join with our neighbors, employed and unemployed, our foreclosed-on children, our elderly parents fearing cuts in their Social Security lifeline and our fellow workers worrying that the furlough ax will strike them next. Together we can organize and mobilize and create a grassroots groundswell that gives government no choice but to respond to our needs, the needs of working people. We can do what workers did during the Great Depression to provoke change, to create programs like Social Security and achieve recognition of rights like collective bargaining. These changes were sought by groups to benefit groups. In a civil society, people care for one another. And America is such a society – one where people routinely donate blood to aid anonymous strangers, children set up lemonade stands to contribute to Katrina victims and working families find a few bucks for United Way. The self-righteous Right is all about individuals pulling themselves up by their bootstraps. That proposition – the do-it-all- by-yourself-winner-takes-all philosophy – clearly failed because so many Americans are jobless, homeless and too penniless to afford boots. Over the past decade, the winner who took all was Wall Street. The banksters gambled on derivatives and other risky financial tomfoolery and won big time. Until they lost. And crashed the economy. After the American taxpayer bailed them out, those wealthy traders returned to making huge profits and bonuses based on perilous schemes. Still, they believe they haven’t taken enough from working Americans. They’re lobbying to end aid for those who remain unemployed in a recession caused by Wall Street recklessness. And they’re demanding extension of their Bush-given tax breaks. This is the nation’s upper 1 percent, people who earn a million or more each year, the 1 percent that took home 56 percent of all income growth between 1989 and 2007, the year the recession began. Since 2007, 8.2 million workers have lost jobs. Millions more are underemployed, laboring part-time when they need full-time jobs, or barely squeaking by on slashed wages and benefits. Since the recession began, the unemployment rate nearly doubled, from 5 percent to 9.6 percent, and that does not include those so discouraged that they’ve given up the search for jobs, a decision that is, frankly, understandable when there are only enough openings to re-employ 20 percent of the jobless. Five unemployed workers compete for each job created in this sluggish economy. And American workers weren’t prepared for this downturn, having already suffered losses in the years before it began. The median income, adjusted for inflation, of working-age households declined by more than $2,000 in the seven years before the recession started. What that means is high roller banksters are living large; lawn care workers and waitresses subsist on minimum wage, and working class machinists and steelworkers are disappearing altogether. The researchers found the U.S. economy is increasingly polarized into high-skill, high-wage jobs and low-skill, low wage jobs. America is losing the middle jobs and with them its great middle class. No wonder the rising anger in middle America. But fury doesn’t solve the problem. This Labor Day, we must organize to save ourselves and our neighbors. We must stop America from descending into plutocracy. We must demand support for American manufacturing and middle class jobs. That means terminating tax breaks for corporate outsourcers, ending trade practices that violate agreements and international law and punishing predator countries for currency manipulation that subverts fair trade by artificially lowering the price of products shipped into the U.S. while artificially raising the price of American exports. We must demand support for American industry, particularly manufacturers of renewable energy sources like solar cells and wind turbines that create good working class jobs, increase America’s energy independence and reduce climate change. We must insist on policies that support the middle class, including preserving Social Security and Medicare, extending unemployment insurance while joblessness remains high, and enforcing the health care reform law so that every American worker and family can afford and is covered by insurance. On this Labor Day, we should all have a picnic, invite neighbors, friends and family, and over hot dogs and potato salad, organize to save the American middle class. Mobilize to end the gloom and restore American optimism. For help: the Union of the Unemployed, the AFL-CIO, USW, Working America. Join the One Nation March for jobs Oct. 2 in Washington, D.C.
At some point in their lives, almost all parents think about making a will to ensure that their assets are passed on to the next generation. But material gains, of course, are the least of what we give our children. Far more important are the values we teach them. This Labor Day, I propose we think less about the material gains that working Americans have secured for their families over the past century. Instead, we should consider the values that organized labor embodies that we might hope to pass along to our children. What I inherited from my grandparents — and what I want to see the labor movement impart to the next generation — is a legacy of inclusion. In the early 1900s, my grandparents came to this country as Jewish immigrants fleeing pogroms and oppression in Eastern Europe. Although they worked low-paying jobs in the textile and apparel sectors, they were deeply motivated by a vision of building a better society. Part of their motivation was secular, and part came out of their faith. Their vision of creating a better America involved a politics of mutual aid and mutual support. Working with this in mind, they helped to establish some of the foundational institutions of our democracy. Their generation built hospitals and synagogues. They built public schools. And they built trade unions. When I was a child, my grandfather brought me from meeting to meeting, where we would hear people talk and argue. They would discuss pooling their resources to take care of someone who was sick, or to bury the dead, or to help a family whose breadwinner had been suddenly thrown out of work. Those informal networks of support, which existed for generations, were the precursors to modern trade unions. 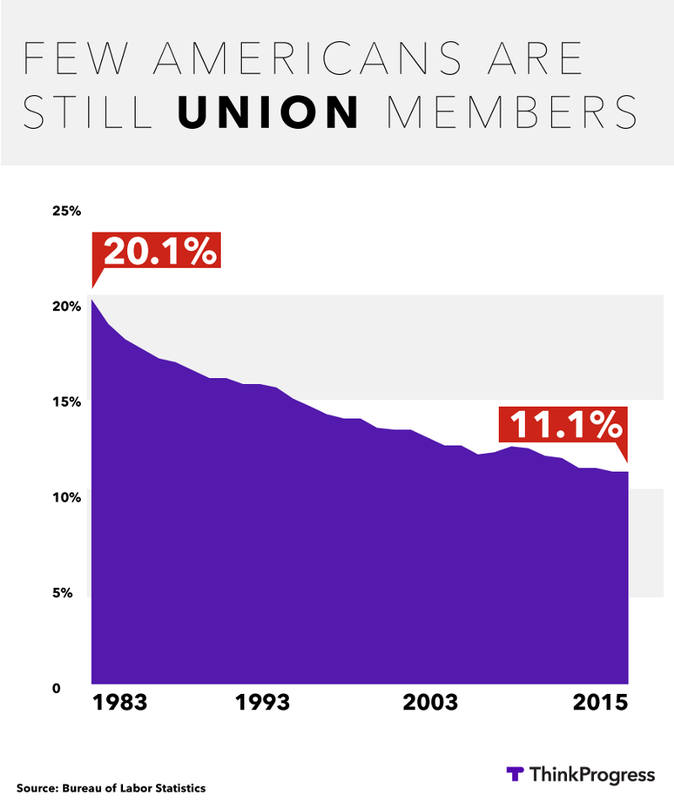 In more recent decades, unions have been the means for employees to come together, work in their collective interest, and help provide one another with a measure of economic security. The result has been profound. Because my grandparents’ generation built unions of textile and apparel workers — as well as unions in other industrial sectors of the economy — their children were able to go to college. Many in the next generation became educators and public servants, and they built organizations of their own. Today’s teachers unions and public sector unions stand in this same tradition of being a bulwark of middle class life in America. On this Labor Day, we can witness a new wave of immigrants coming to this country with a vision of building a better life. They may come from different countries, their complexions may be different, and they may be more likely to work as janitors or housekeepers than as factory workers. But their hopes and aspirations are the same. The question for us as a society is: Will we leave a legacy behind of inclusion and preserve our country as the place that the world looks to as a haven of opportunity? Or will we take America down a very alien path, close our doors, and become a nation laden with fear-mongering, scapegoating, and exclusion? This is an especially important question for Labor Day, because organized labor has been the central institution in our country that has allowed previous generations of immigrants — people like my grandparents — to enter into the economic mainstream of their communities. 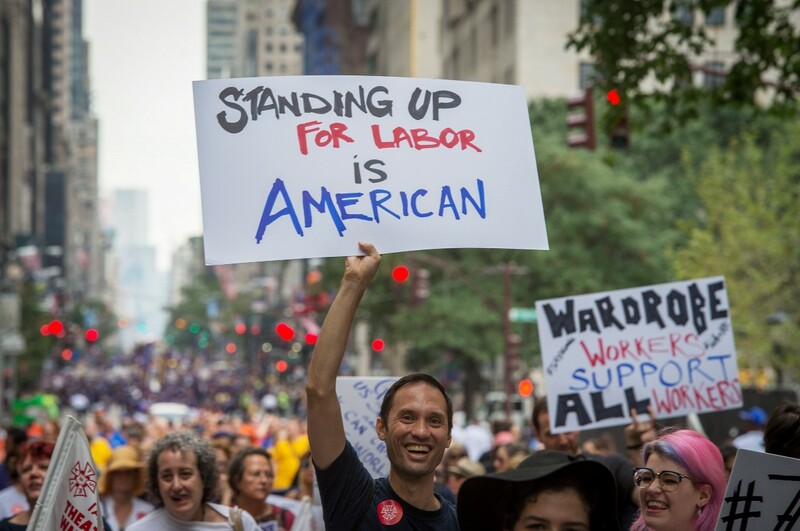 Today, as we work to create pathways that will allow newly arrived immigrants to weave themselves into the civic fabric of American society, a large part of our efforts must be to create a revitalized labor movement, one eager to welcome them into its ranks. We need look no further than labor’s past to give us direction toward a more inclusive future. About This Author: Amy B. 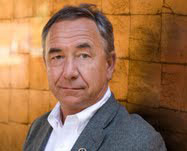 Dean served as President of the South Bay AFL-CIO in Silicon Valley from 1992-2003 and chaired AFL-CIO President John Sweeney’s committee on the future direction of labor strategy at the regional level. She is co-author, with David B. Reynolds, of A New New Deal: How Regional Activism Will Reshape the American Labor Movement. Poor Labor Day. Gets no respect. It’s the Rodney Dangerfield of celebrations. The runt of the holiday litter. Just hearing the name conjures up depressing images of a last plastic souvenir sports bottle of lemonade poured on the dying charcoal briquettes of summer. It’s the end of the bright light and the beginning of the darkness. Vacation is over and the fun has expired. White shoes are put back in the closet and storm windows taken out. Watermelons are replaced on the floor next to produce bins by pumpkins. Swimming pools get drained and ice cream trucks convoy back into their hibernatory garages. All the red, white and blue motifs give way to orange and black. The solstice is dead. Long live the autumnal equinox. As a kid, I was too busy running from the shadow of school’s return and the end of my freedom to pay much attention to the meaning of the holiday. And when I did, it made no sense. Honor work? Who would do that? Might as well set aside a day to venerate broccoli. I thought of work as a thing to be avoided not celebrated. Chores squared. But then I entered the real world and desired things, like food and shelter and clothing and gasoline, which forced me into gainful employment. And it was surprisingly enjoyable. Not the getting up at 4 am part, but the fruit of accomplishment deal- yeah. Got my social security number at the age of 12. Held over 100 different jobs. Then in 1981, I was able to earn a living at my chosen craft. Making me an extremely lucky man. Without labor, we would still be nomads, boiling river water to wash down our nightly meal of beans and mush and roots and moss. Getting way too friendly with the livestock. Not that there’s anything wrong with that. From the people who brought you the weekend, not to mention the 40 hour work week and the lunch hour and the smoke break and the potty run and the punch clock dash. Our society’s love affair with the genetically blessed can get tiresome. The rich and the beautiful and the fast and the strong. The lucky sperm club. People who were in the right place at the right time, and most of those places were wombal. That’s why it’s important to have this one 24- hour period to honor ordinary Americans. Real folks who don’t think “work ethic” is a dirty word. Or a dirty two words. Or whatever. No, there’s no fireworks to watch or ugly birds to cook or chocolate covered bunnies to steal marshmallows from. Just one Monday off for all those regular guys and gals trying to make ends meet; raising 2.3 kids while juggling a mortgage and trying to cover the monthly cable bill with at least one premium channel thrown in. One day to celebrate what it is that we do for a living by taking the day off from work. Paying tribute not to some dead presidents or a religious fertility ritual or the valiant who have fallen defending democracy, but to the living. To us. The true American heroes. The ones who keep democracy alive and shaking and moving and growing. You and me. All right. All right. Fine. Mostly you. Happy Labor Day everybody. This time, grill some burgers, raise a glass of beer and drink a toast to Laborless Day, in honor of the 10% to 20% of the American workforce who cannot find work, or anything meaningful that pays a living wage. The current state of labor affairs in the United States is this: We’ve just barely survived eight years in which corporations amassed even more political power and societal control than they had before. The military-industrial complex has continued to provide us with war, the banking industry gave us substandard mortgage derivatives but won’t loan money to people with good credit, and the insurance industry forced us to buy home insurance, car insurance, flood insurance and life insurance, but refused to sell us health insurance. Labor unions are on the run in many states, and the minimum wage will buy you a dry spot under the U.S. 90A bridge. The Captains of Industry have had their way, more or less, for decades, and never more than now. You’d think they’d be flying high, but instead, on the eve of this Laborless Day, they find themselves in a quandry. They’ve re-learned the hard way that their stock appreciation, bonuses, vacation mansions and hot cars accrue in proportion to American consumer spending. After taking a financial beating in a variety of ways, directly or indirectly from numerous corporate captains, the American consumer has lost the ability to spend. The big shots still are living high on the fuel that was stuffed into the pipeline before the Last Straw, but soon nothing will be left but fumes. Thus we find the Captains of Industry, through major voiceboxes such as the Wall Street Journal, playing a dual role. Yes, as Republicans they still have to diss the Democrats’ stimulus spending (while forgetting Bush Jr.’s). But at the same time, because consumer spending is predicated on consumer confidence, they must declare that the glass is half full and in fact the recession, which was never all that bad to begin with, is really pretty much over and we’re all in recovery now. Sure, guys. Paper me over with charts explaining how, technically, the bell curve has rung while Southeast Asian production rates clearly are leveling off and job losses truly are not gushing out on the ground as fast as they were just a month ago. Meanwhile, back in the real world, almost every middle-class American who still has a job and is not employed in the medical industry faces the very real prospect of sudden job loss. In Detroit, by one measure, 17.7% of the workforce was out of work by the end of July. In the El Centro, Calif., market, for some reason, the unemployment total hit 30.2%. Some, especially over at the Journal, will say these figures are overstated, that the Labor Department figures show the average U.S. unemployment rate at the end of August was “only” 9.7%. I say that’s more than bad enough. But it’s also an example of how figures lie. The Labor Department also tracks more meaningful numbers, which I believe the media should use to provide a more accurate picture of U.S. employment. “Marginally attached” workers are those who have run out of benefits, been unemployed for a year or more but are available for a job and want one. The part-time workers referred to really want full-time jobs but can’t find any. In August of 2008, as the current collapse began, this more accurate average U.S. unemployment rate stood at 10.7%. One year later, it stands at 16.8%. I shudder to think what this rate is in Detroit. This holiday weekend, be as patriotic as you are on holidays honoring our brave military members who died serving their country. Honor the American working man and woman, salt of the Earth and the blood that keeps our country’s heart beating. But also honor your fellow Americans, almost one in five now, who want to do their part, secure their families and help spend the country back into recovery with honest work, only there isn’t enough to go around. 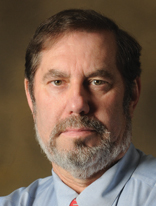 About the Author: Bob Dunn is a writer, consultant and web developer based in Richmond, Texas. He can be reached via Bob Dunn’s Brazos RiverBlog. This article originally appeared in Bob Dunn’s Brazos River Blog on September 5, 2009. Re-printed with permission from the author. You are currently browsing the archives for the Labor Day category.